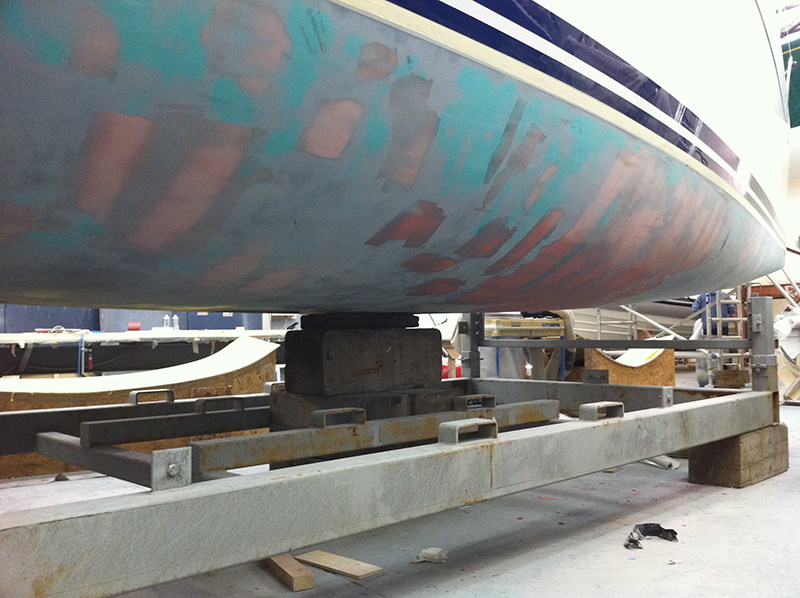 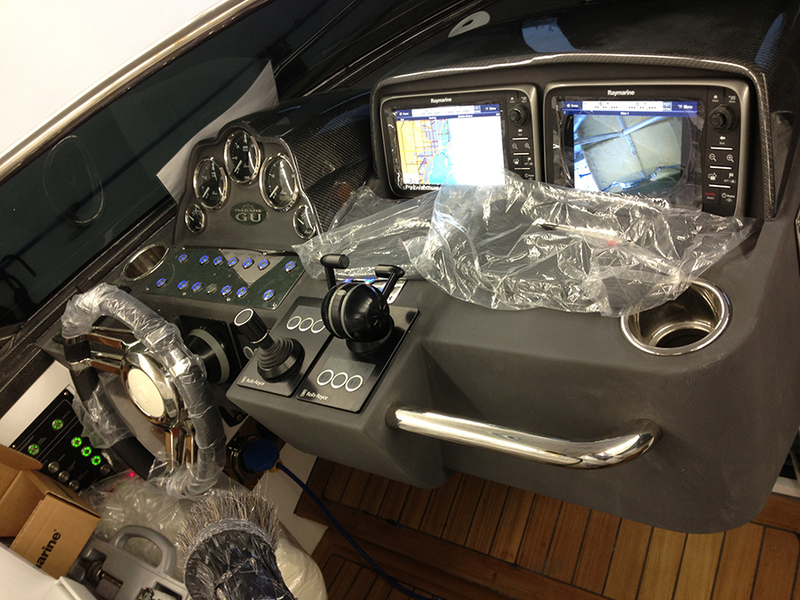 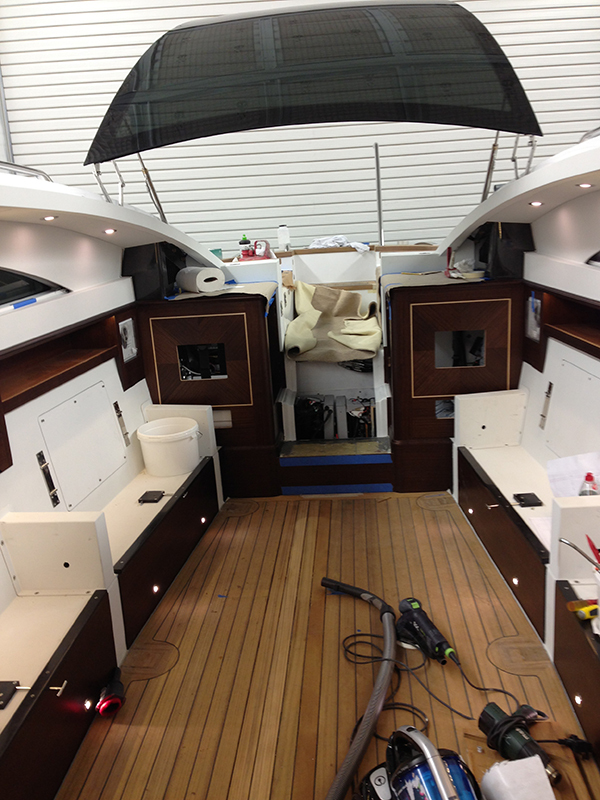 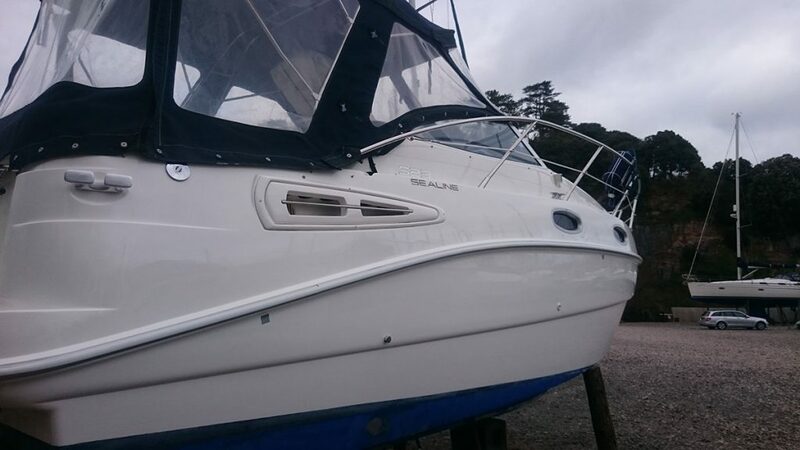 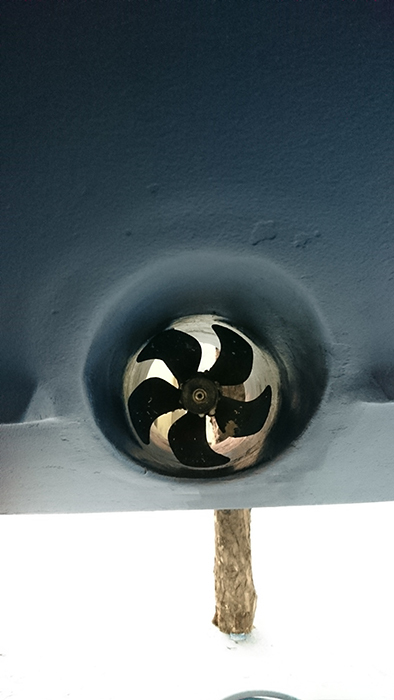 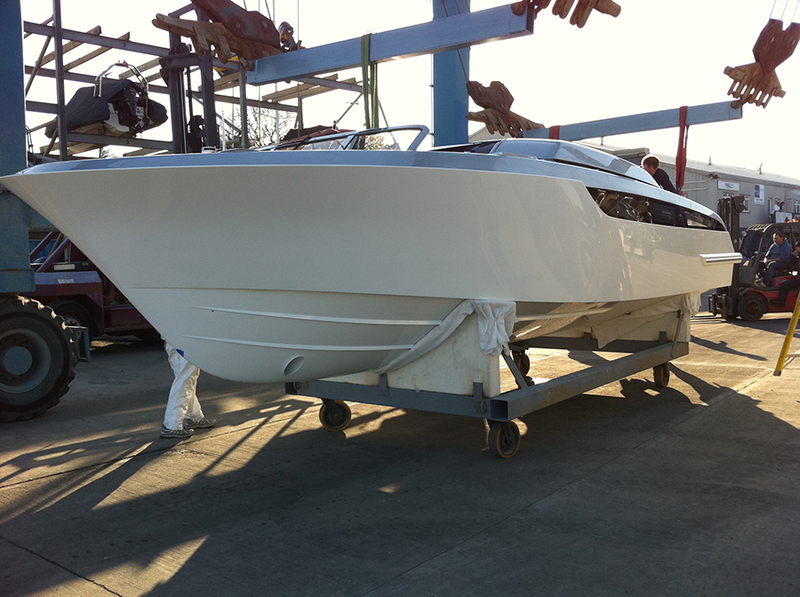 High Tide Marine offers repair and maintenance services for all types of boats and yachts. 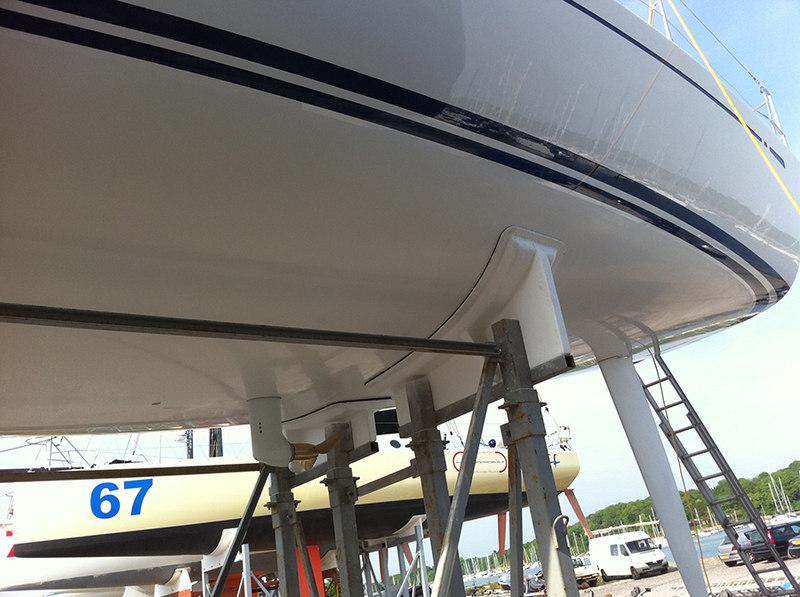 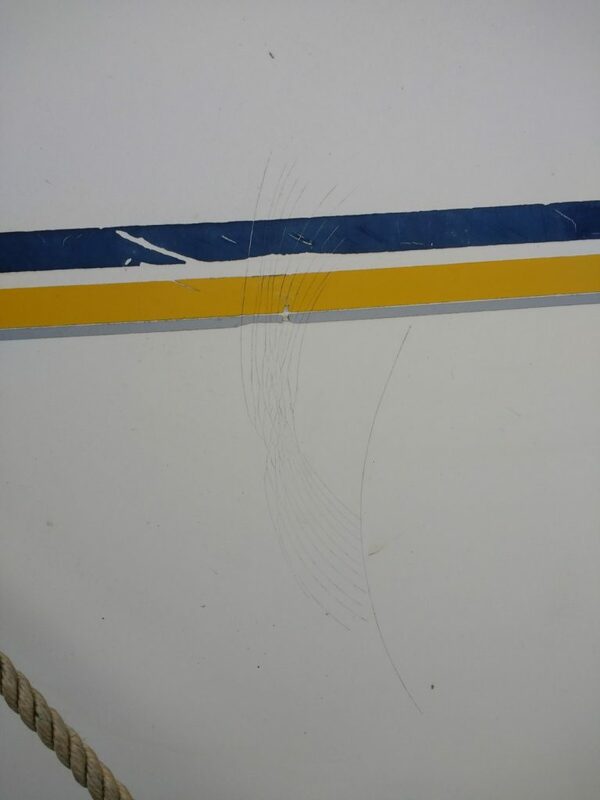 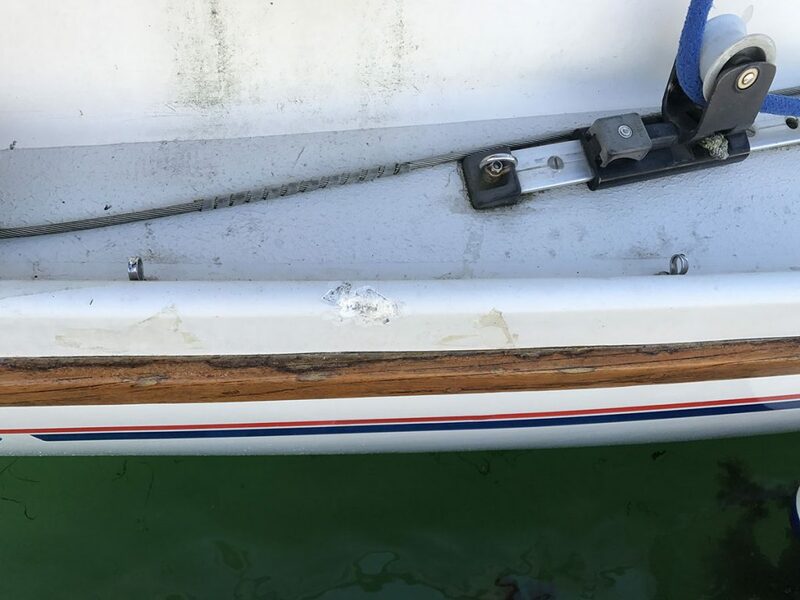 From major structural repairs, to keeping your boat clean and in good shape. 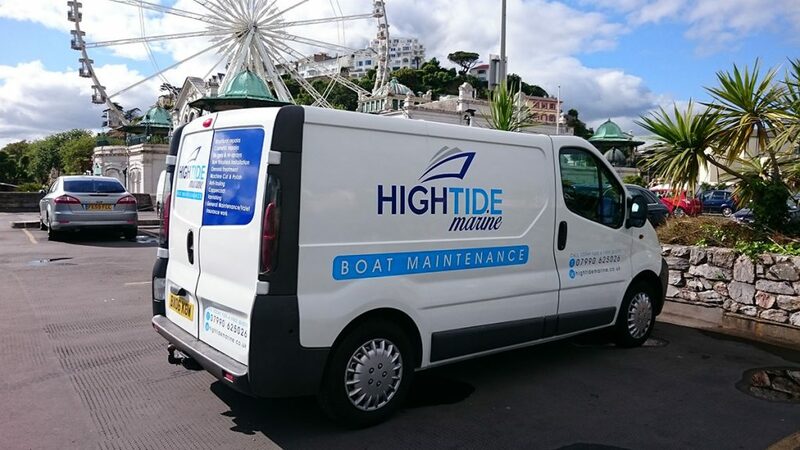 I am committed to quality work on a range of services to suit your needs. 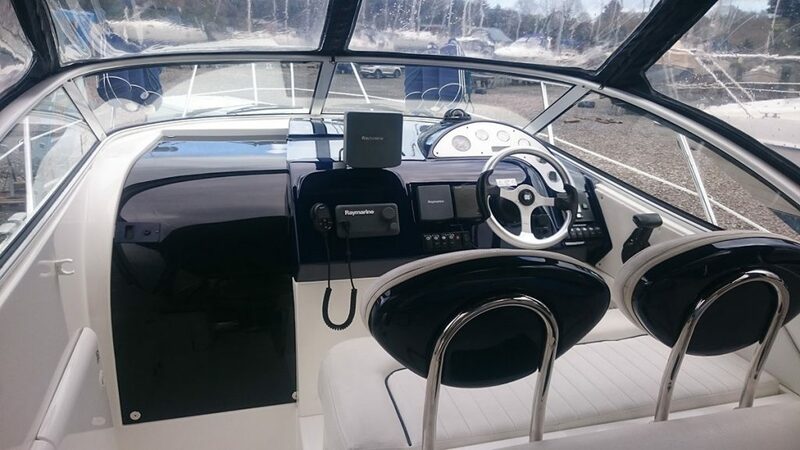 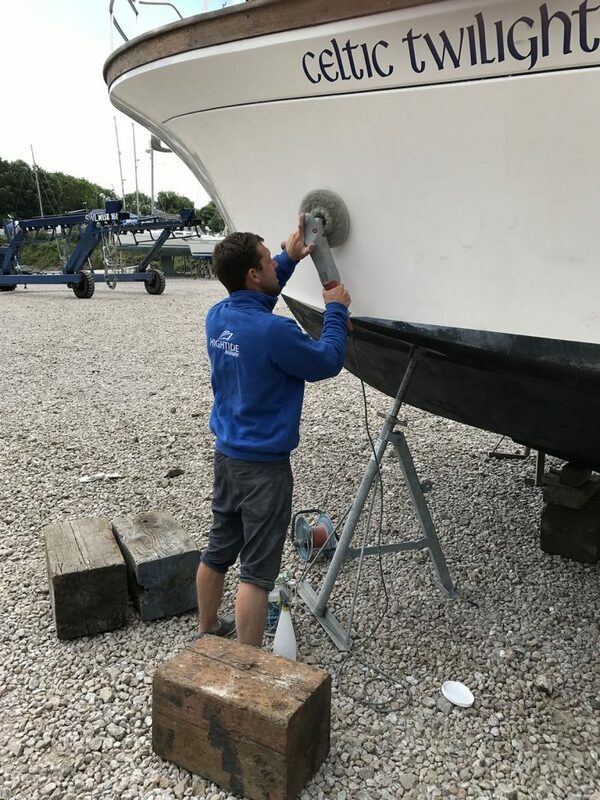 Customer service is always a priority as is carrying out professional work to your boat, as affordable to you as possible. 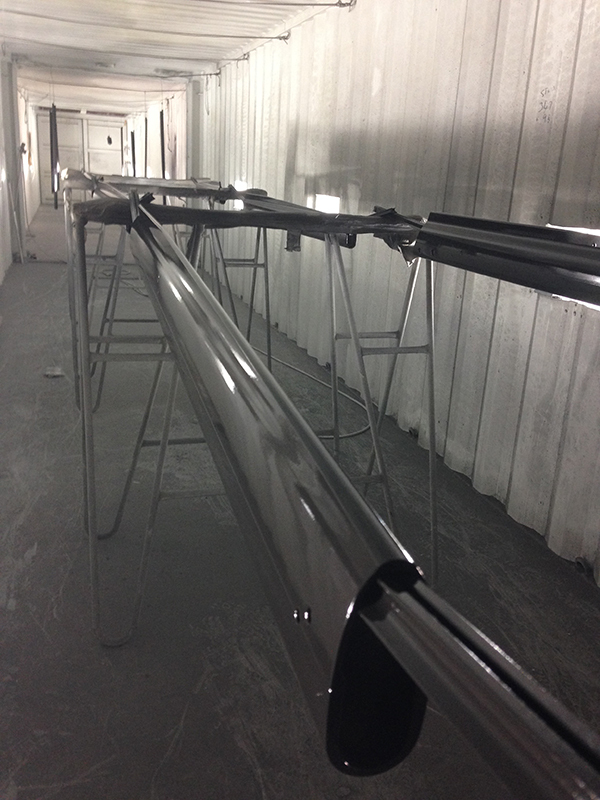 To receive a free no obligation quote to carry out any work on your pride and joy, contact us. 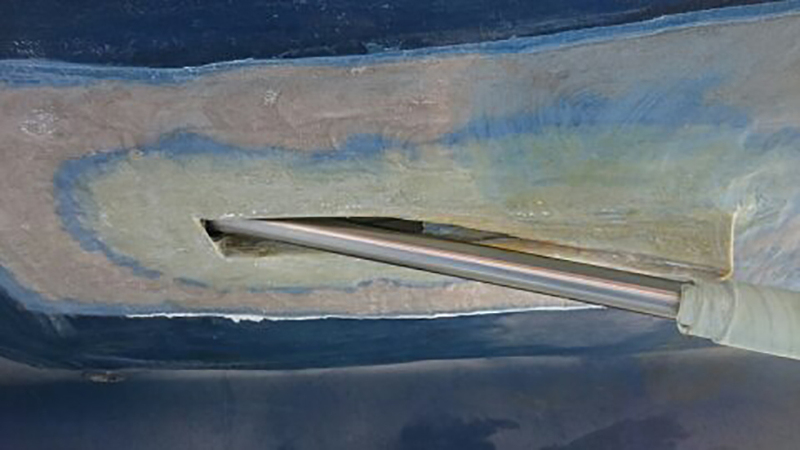 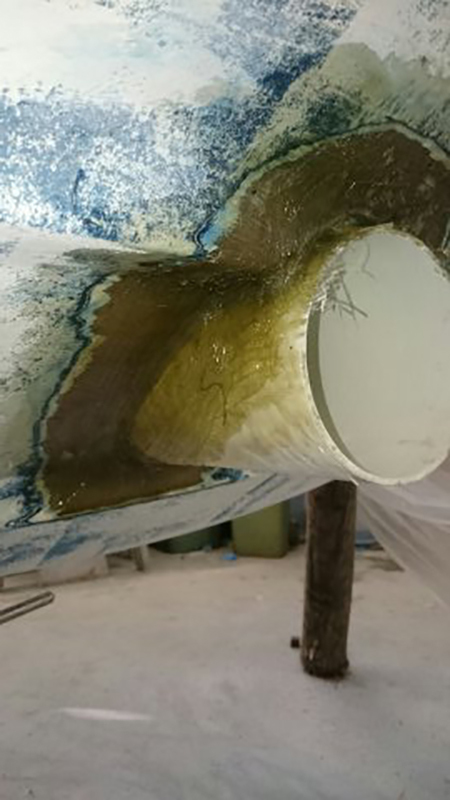 Repairs to GRP or composites are carried out with either an epoxy or polyester system, using processes and materials that are best suited to the individual repairs, whether they are structural or cosmetic. 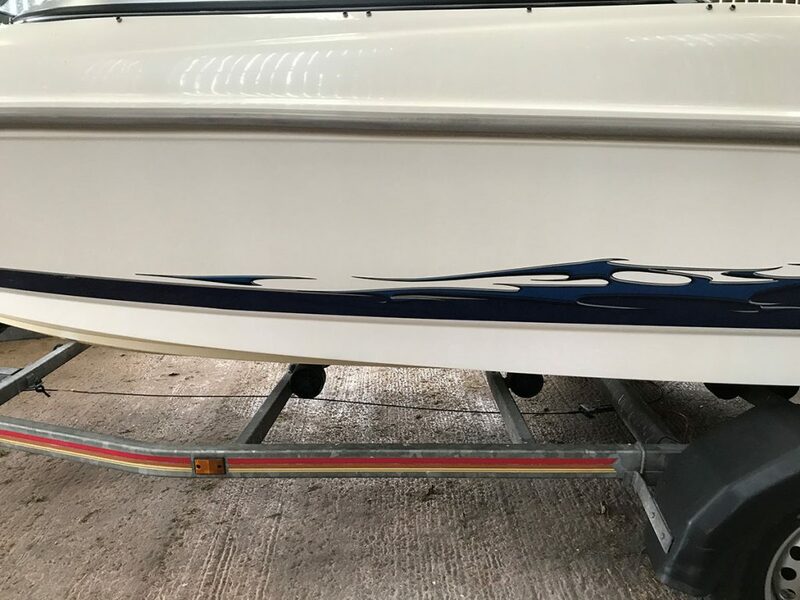 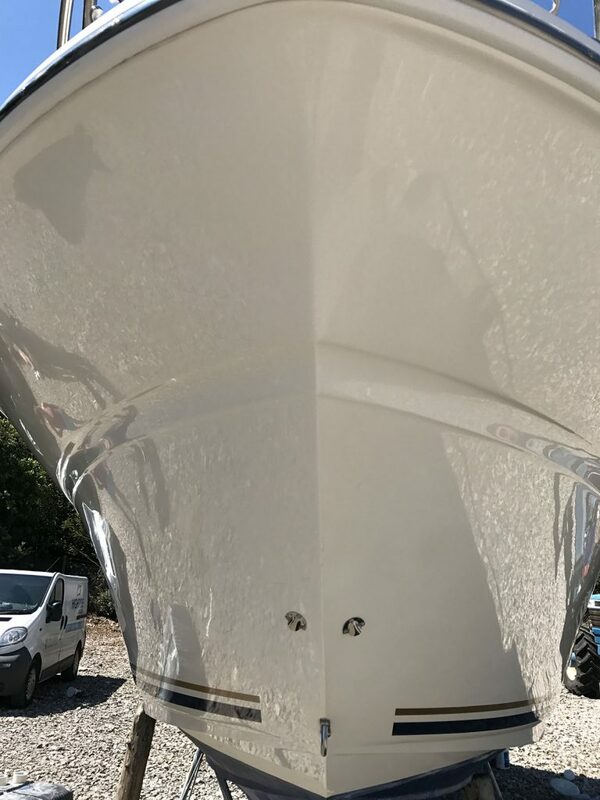 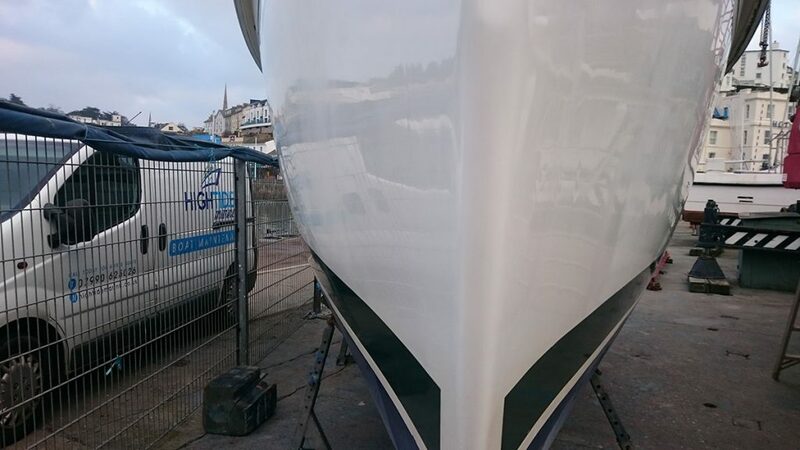 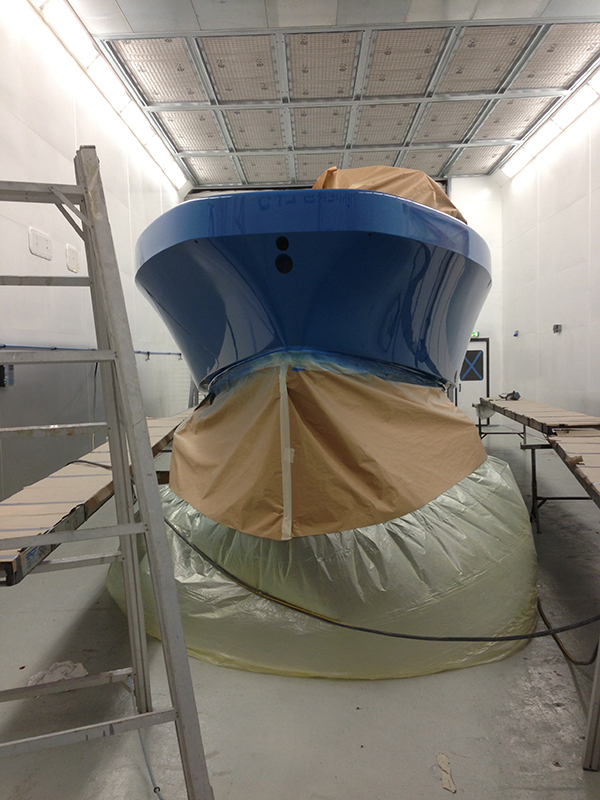 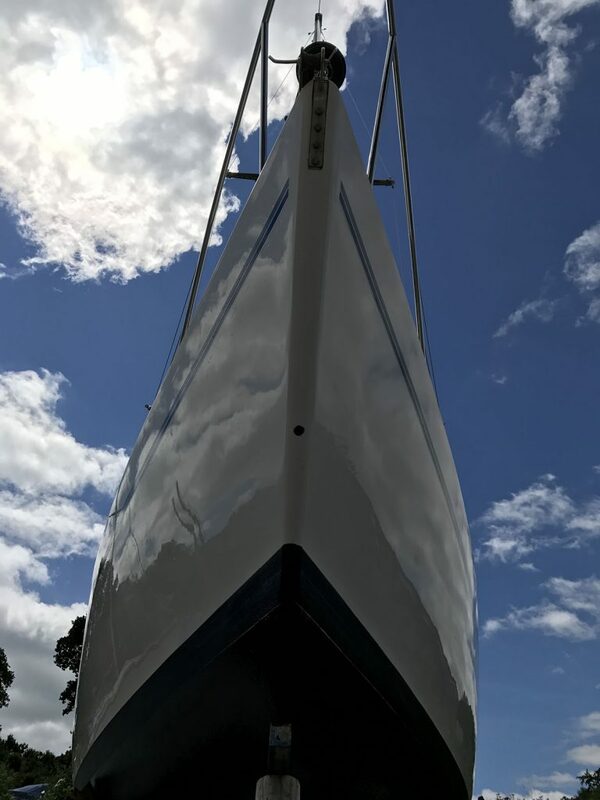 Re-gels or re sprays to hulls and decks can be discussed to work out the best options available to get a professional finish. 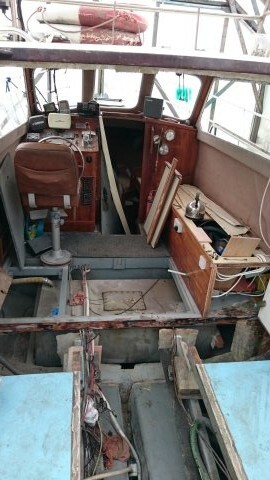 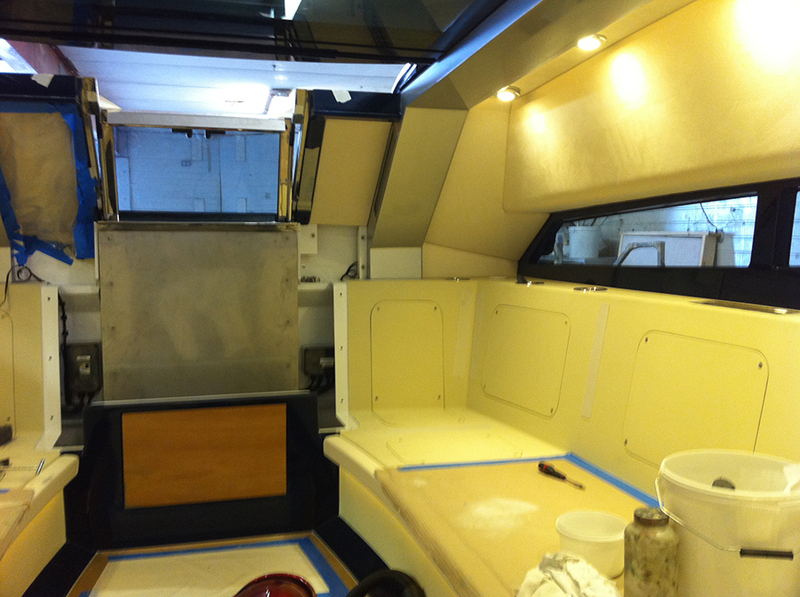 Alterations and refit work can be discussed to work out the best options for your requirements. 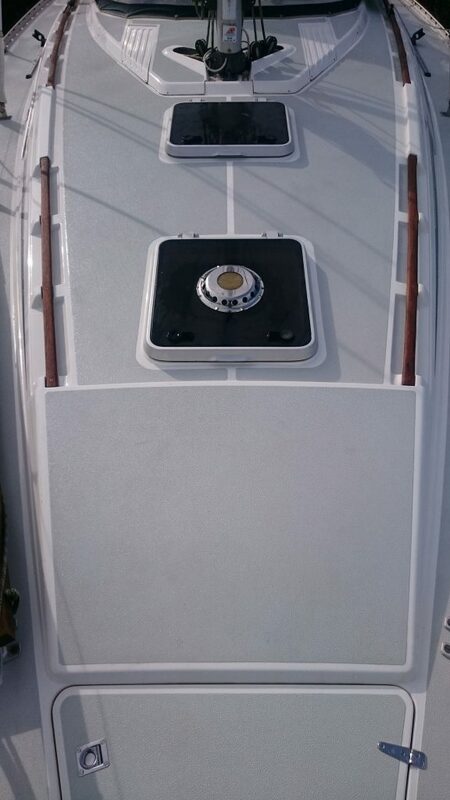 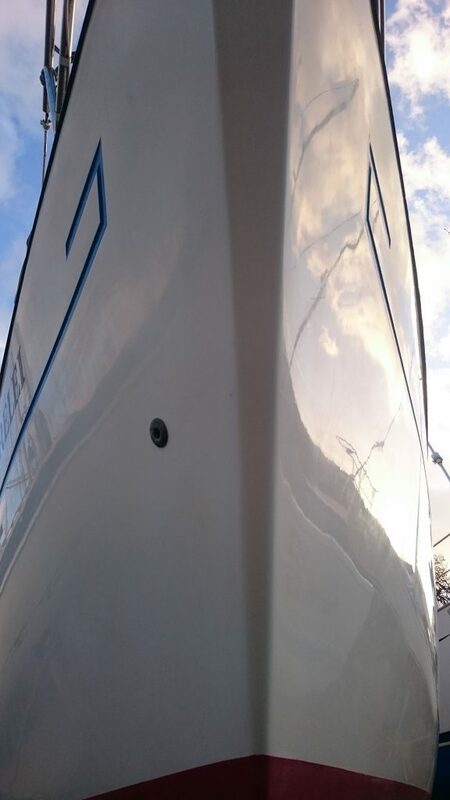 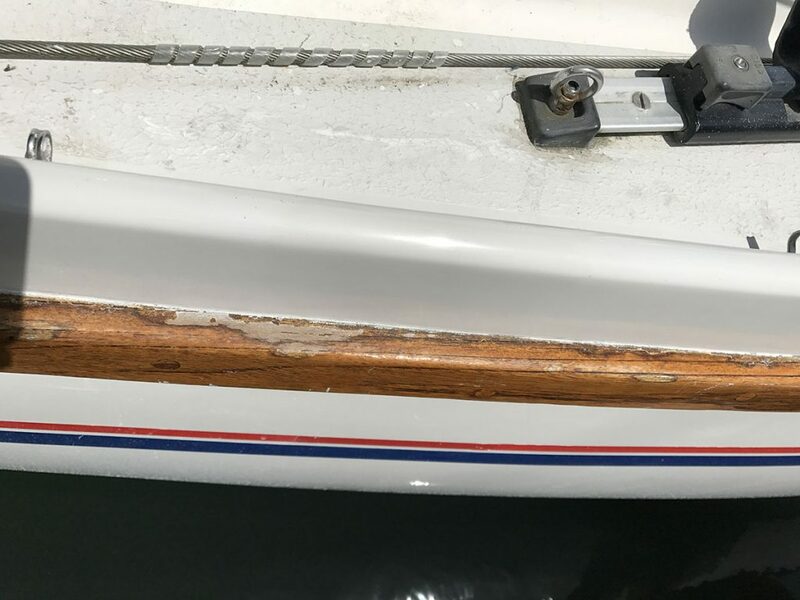 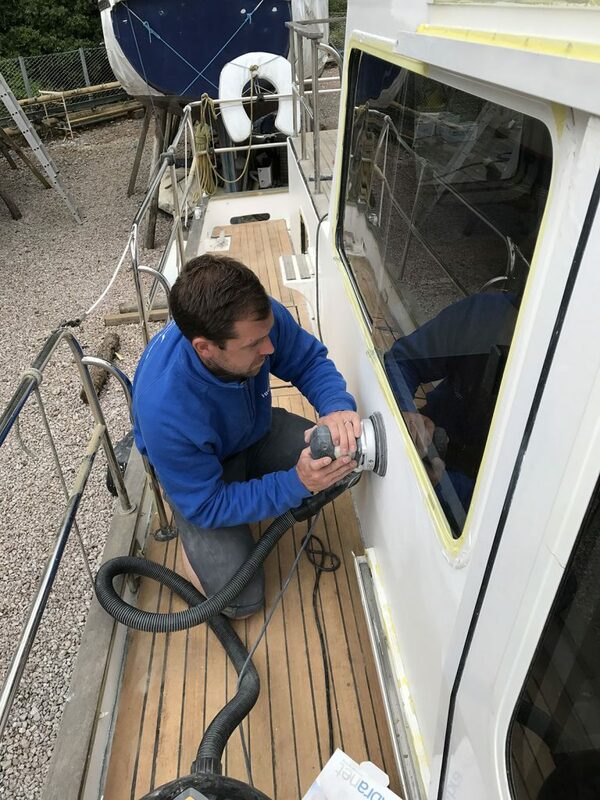 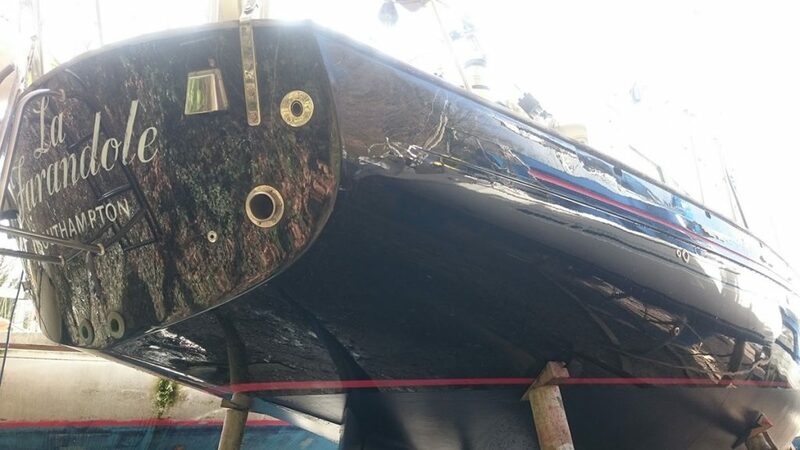 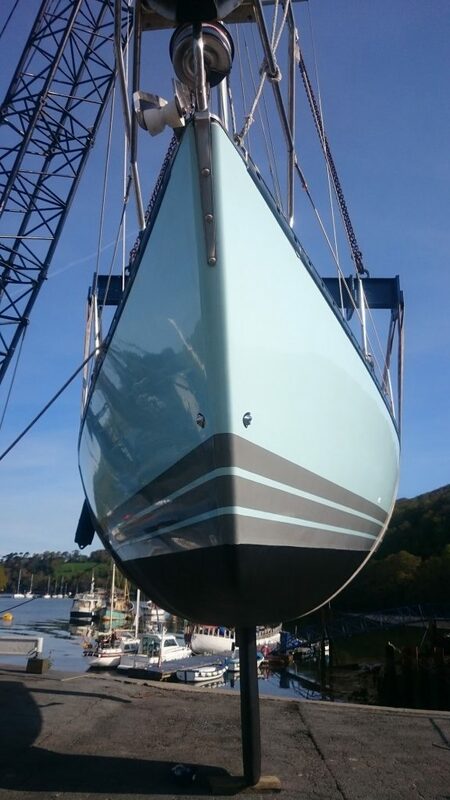 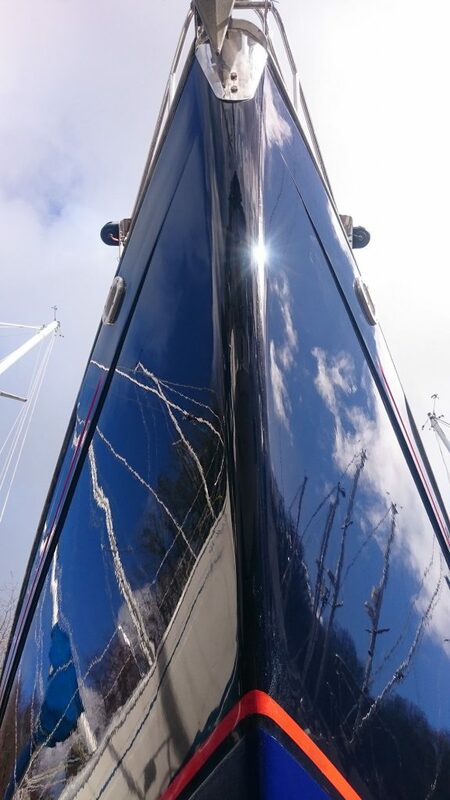 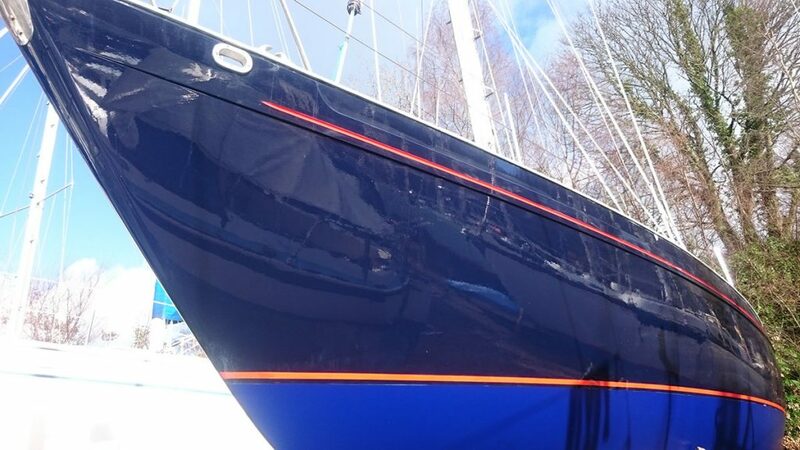 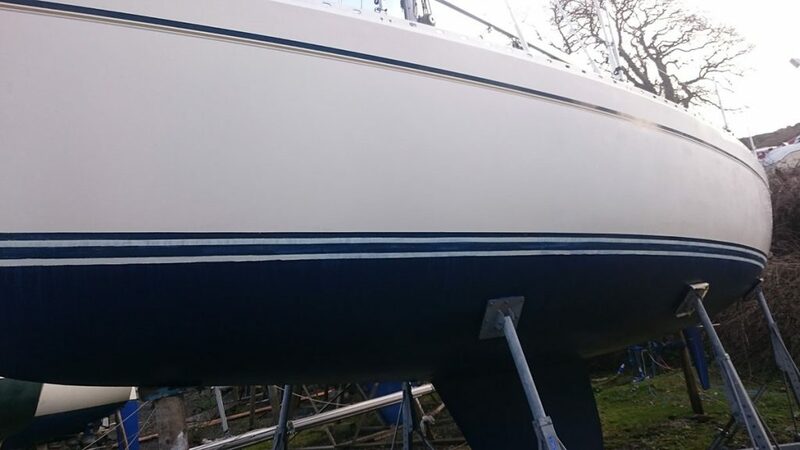 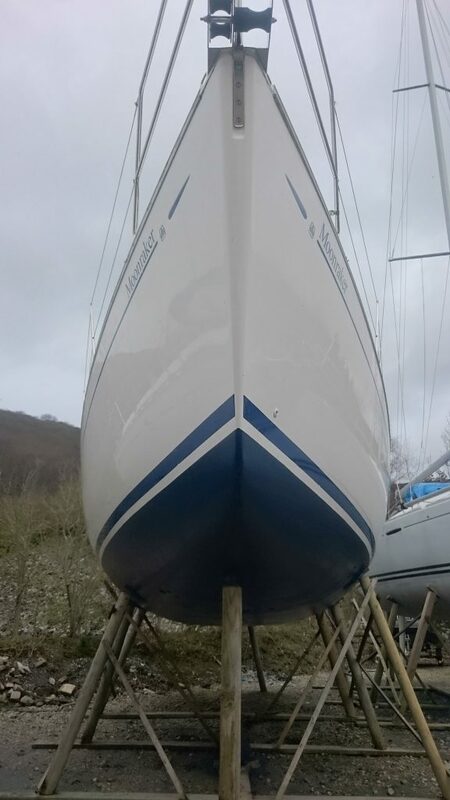 Maintenance work such as deck washes, compound cutting and polishing, antifouling, copper coating, varnishing, teak deck cleaning and replacements are all carried out with care, using appropriate procedures and materials for each vessel. 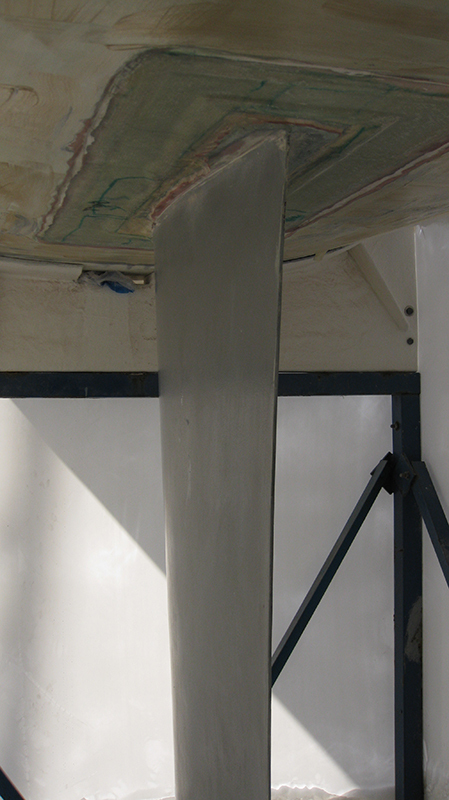 Contact us for any other technical work that is required. 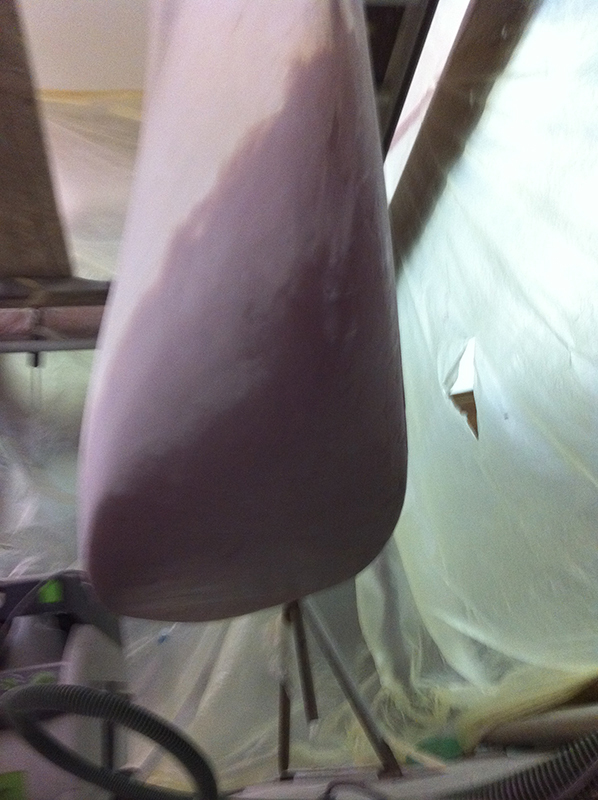 My name is Jon Cotton. 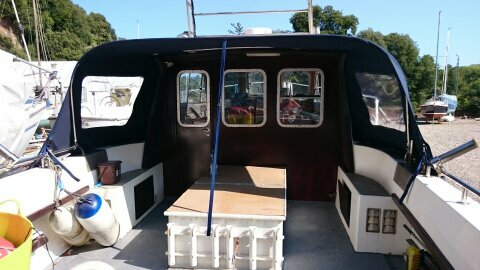 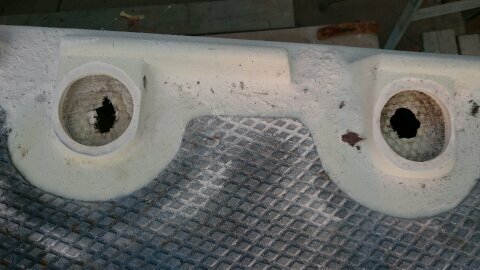 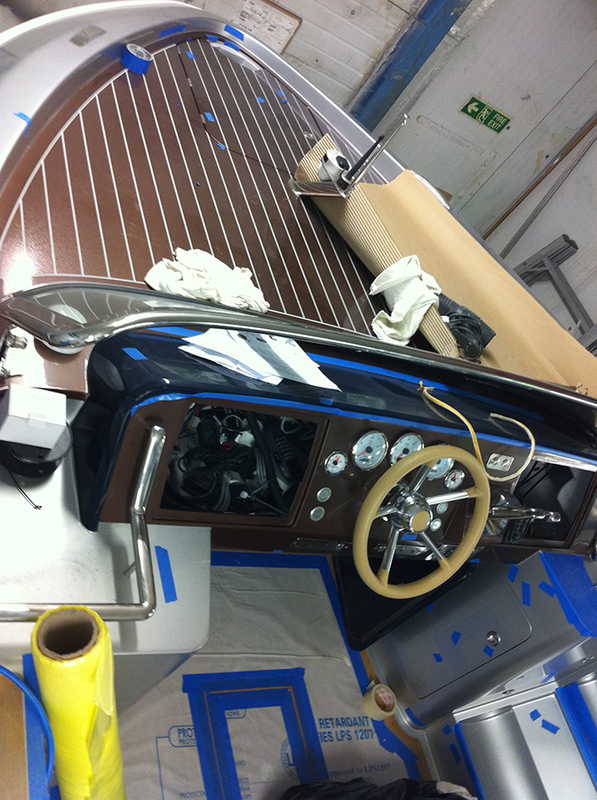 I have 17 years experience working on all types of boats. 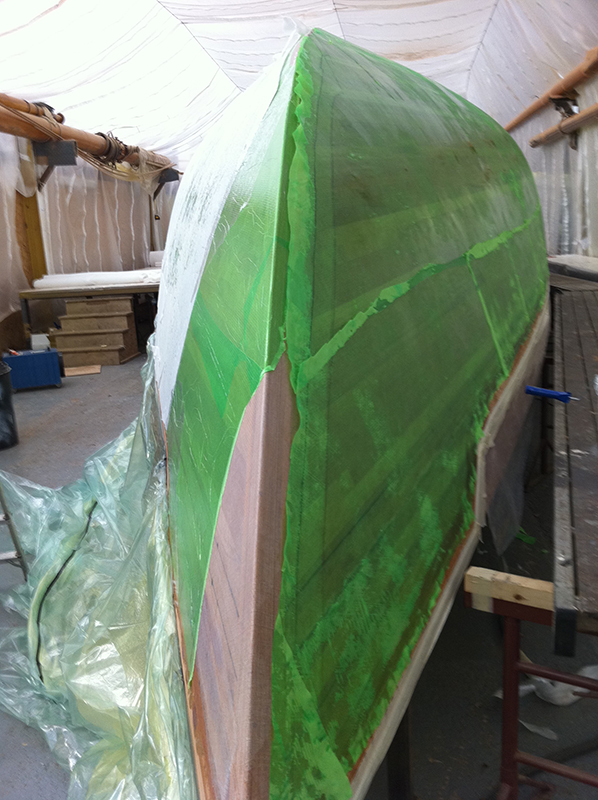 I started my trade as part of a paint team, working on a ship at a naval shipyard in Portsmouth. 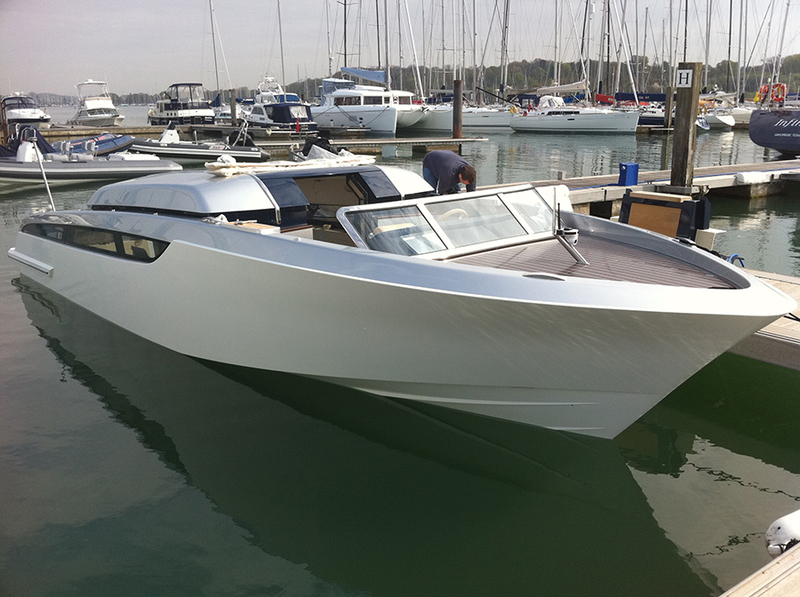 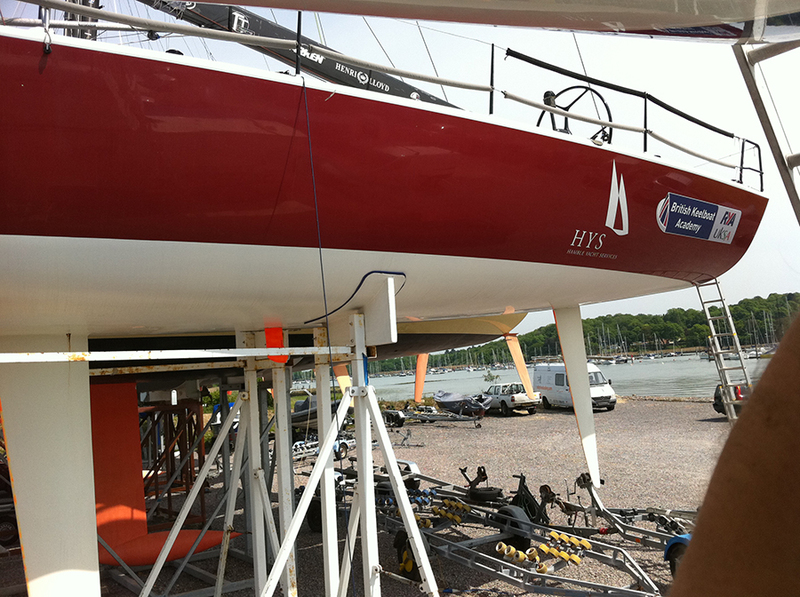 I then went on to work at one of the biggest boat building companies on the river Hamble. 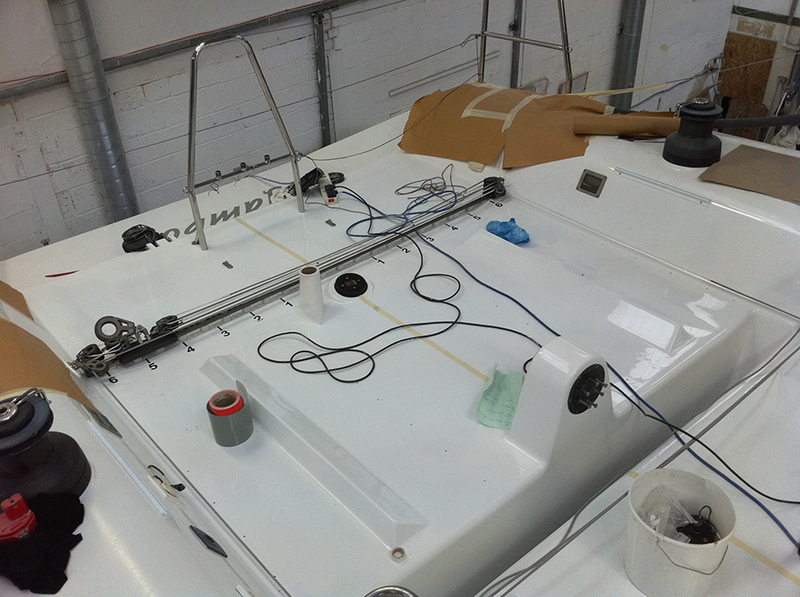 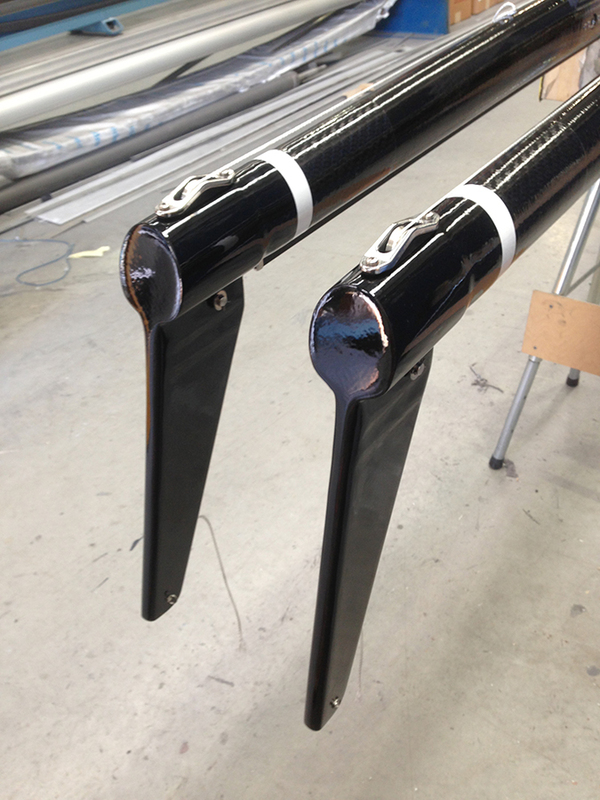 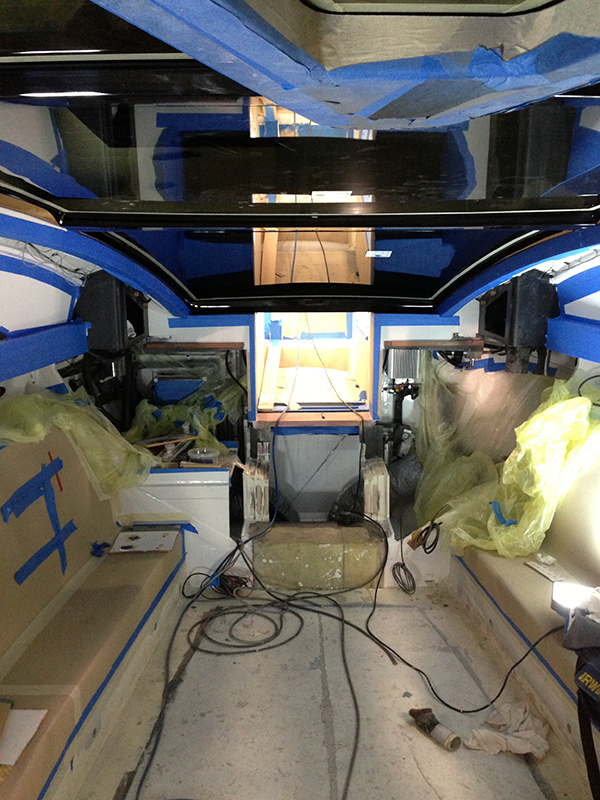 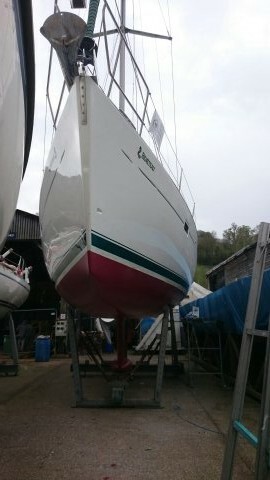 Our projects were new build, carbon fibre racing yachts and also many repair jobs on a range of boats. 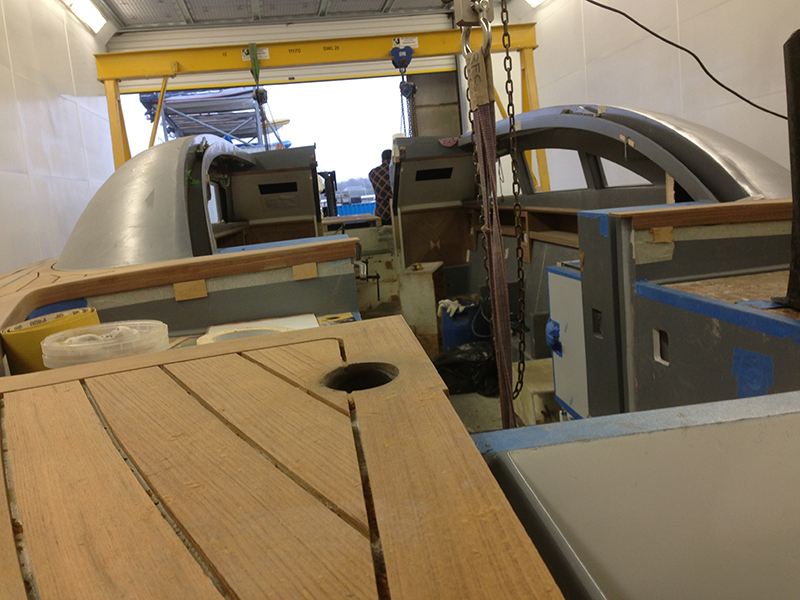 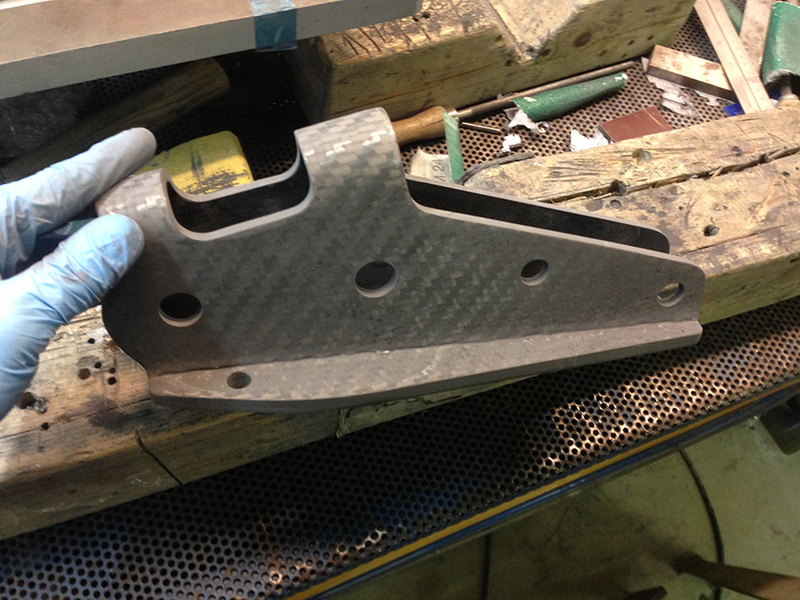 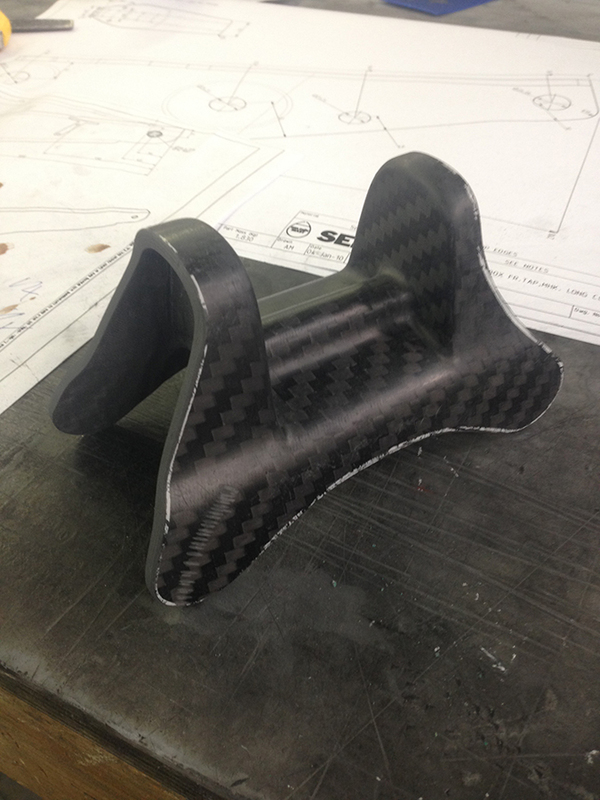 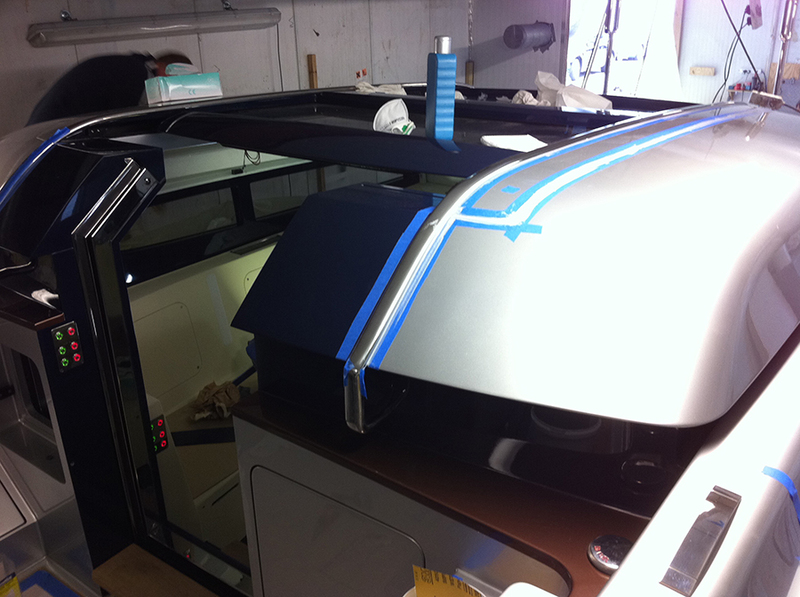 We then went on to make many custom made carbon fibre superyacht tenders, ribs and workboats, to a very high standard. 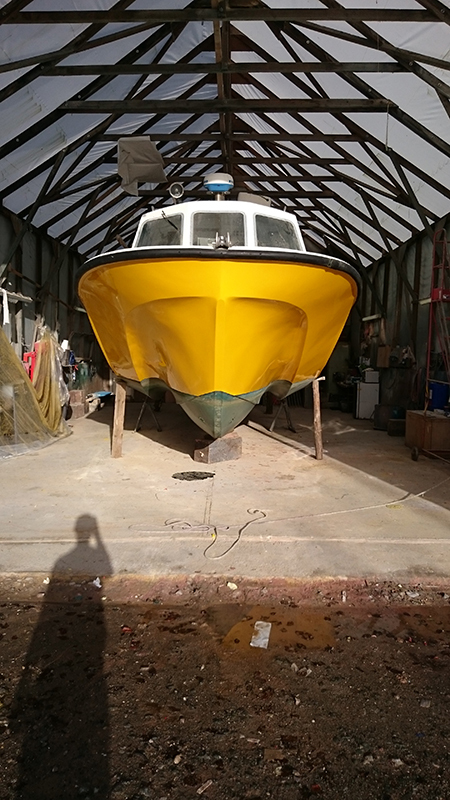 During this time i was heavily involved in the mould making; laminating, general build, fitting out and fairing and finishing of these specialist made boats. 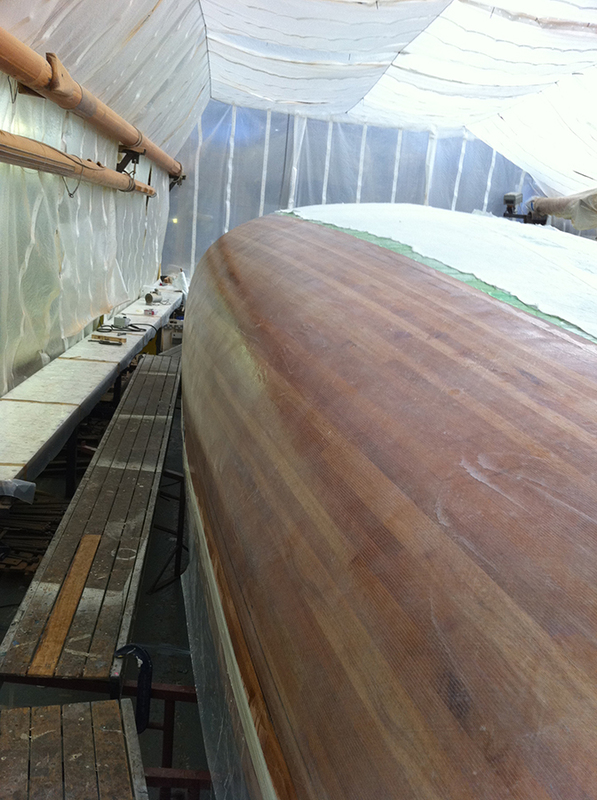 I then went on to work for one of the market leaders in mast making, based in Gosport. 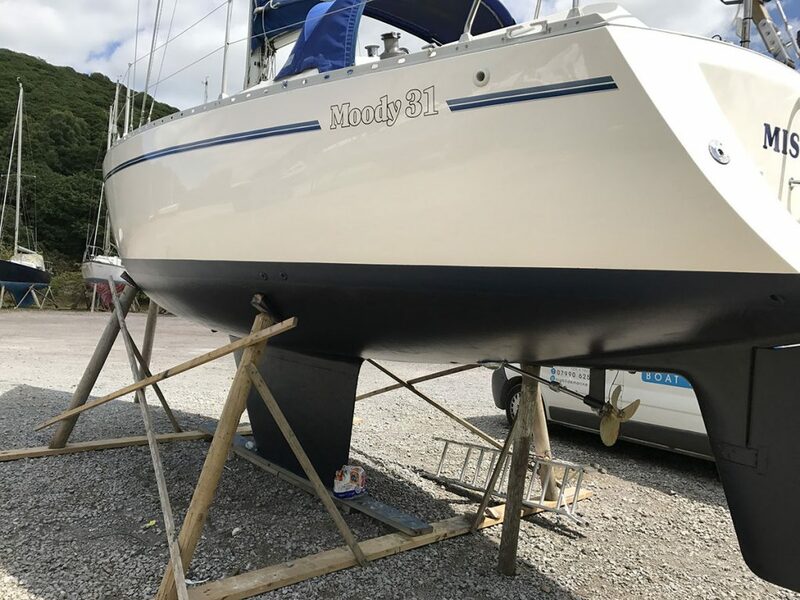 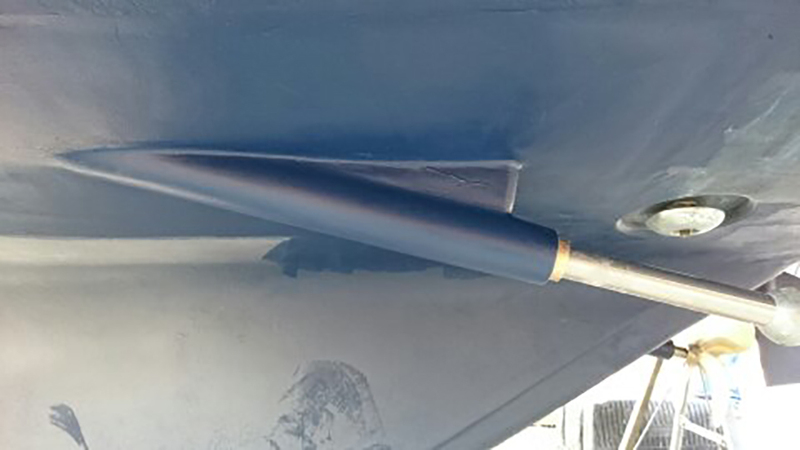 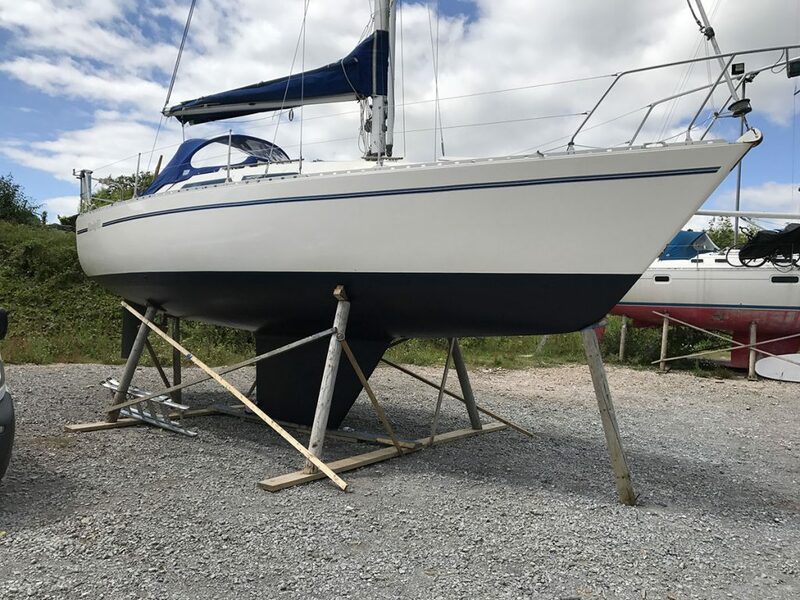 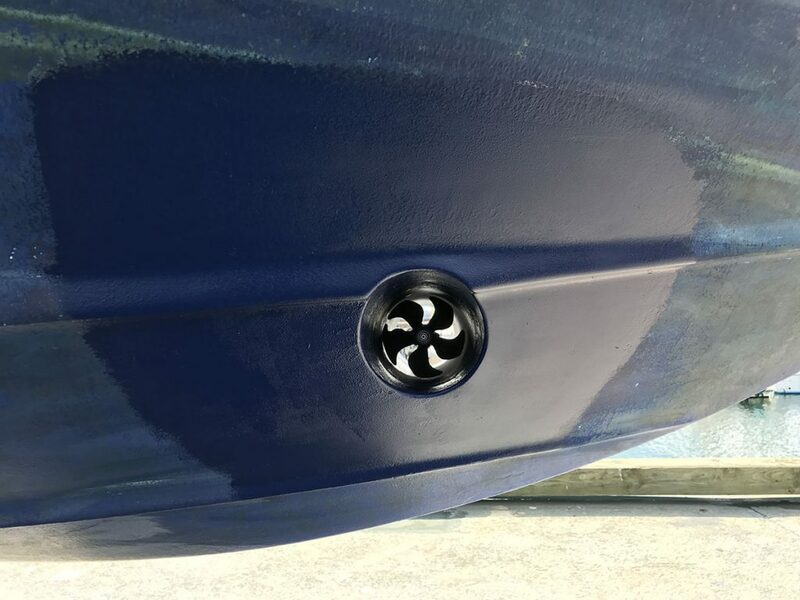 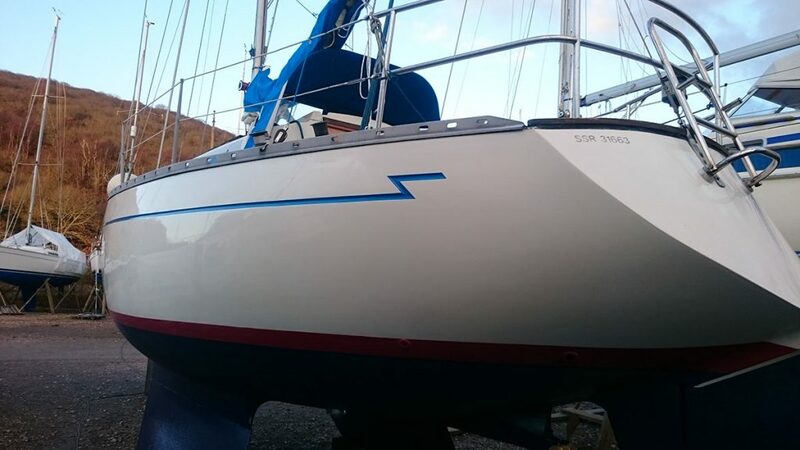 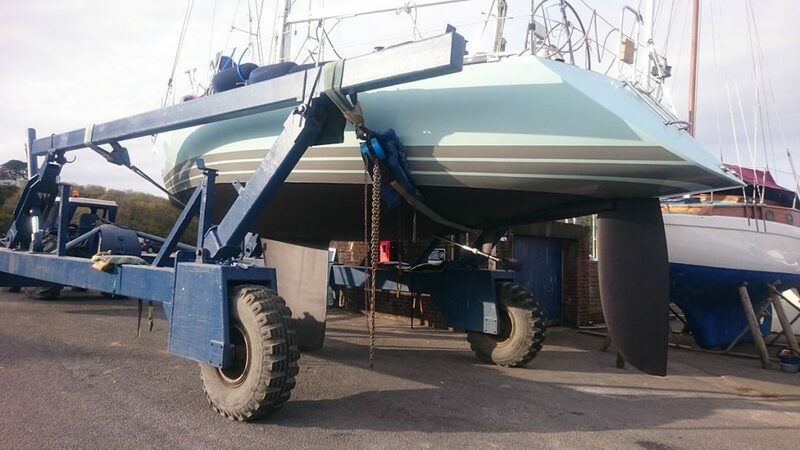 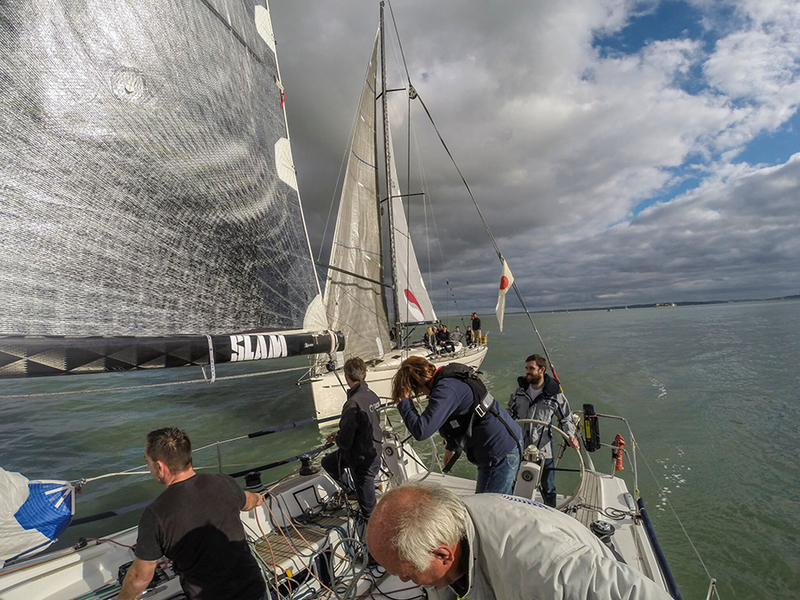 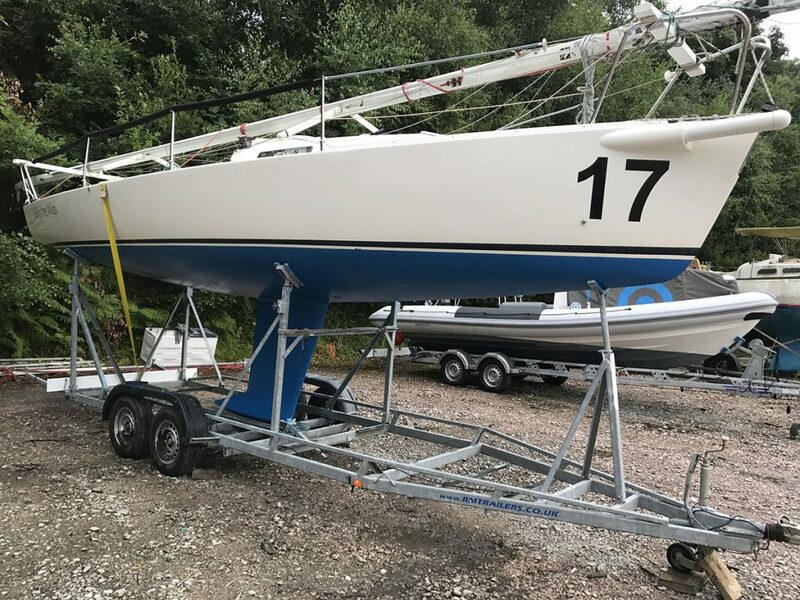 In this time I was involved in the build of carbon fibre masts, spars and components, fitting the masts out and spray painting both the carbon fibre and aluminium masts, components and fittings. 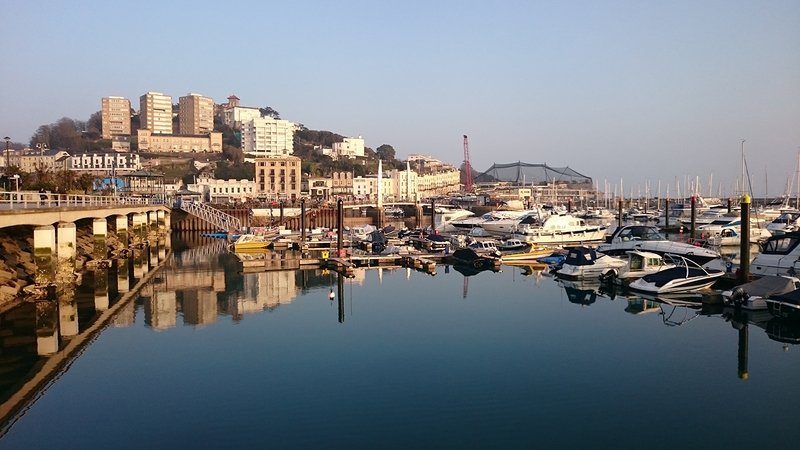 I later moved to Torquay and went on to work at a successful rib making company in south Devon. 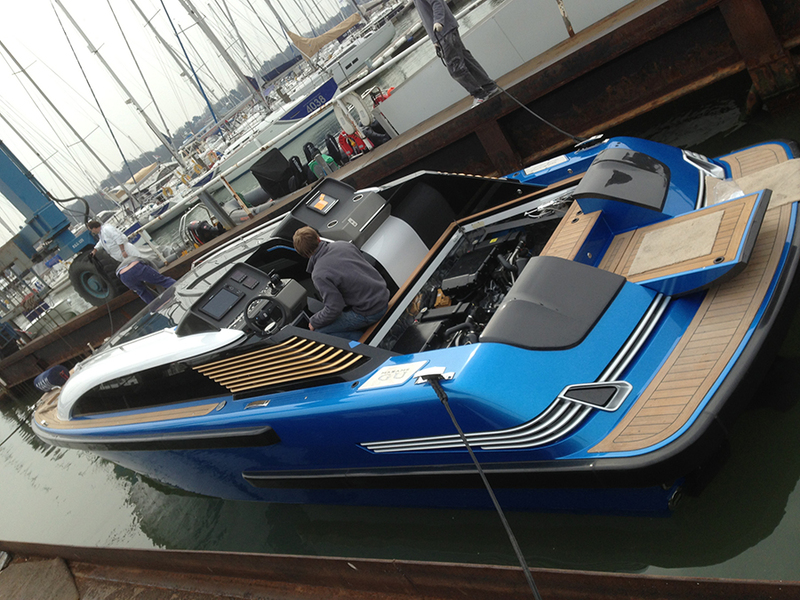 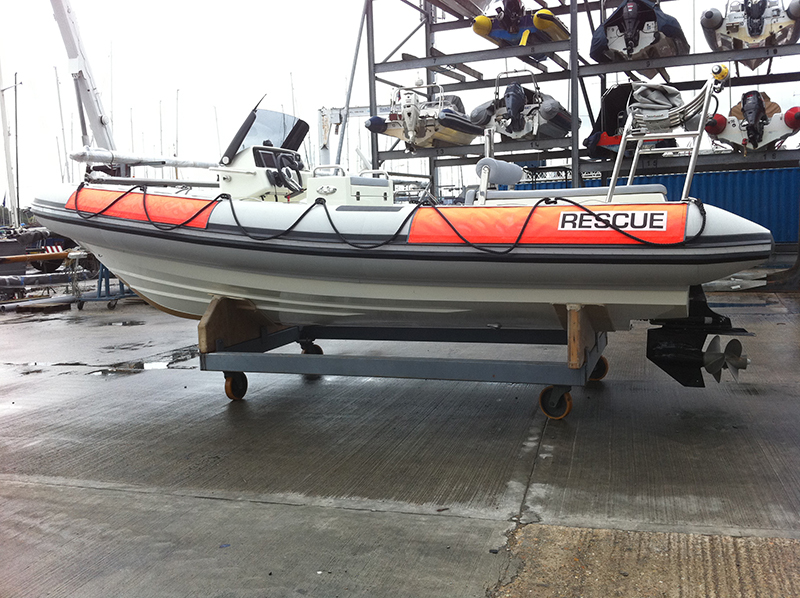 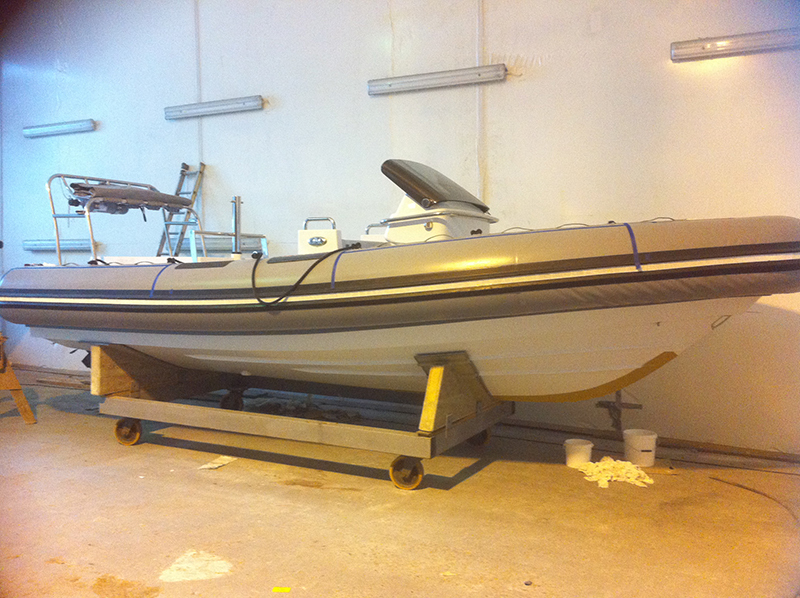 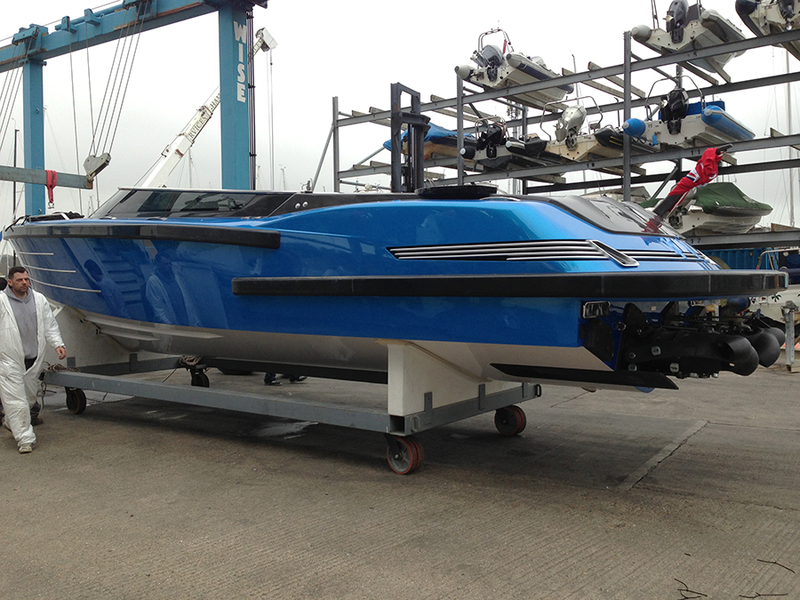 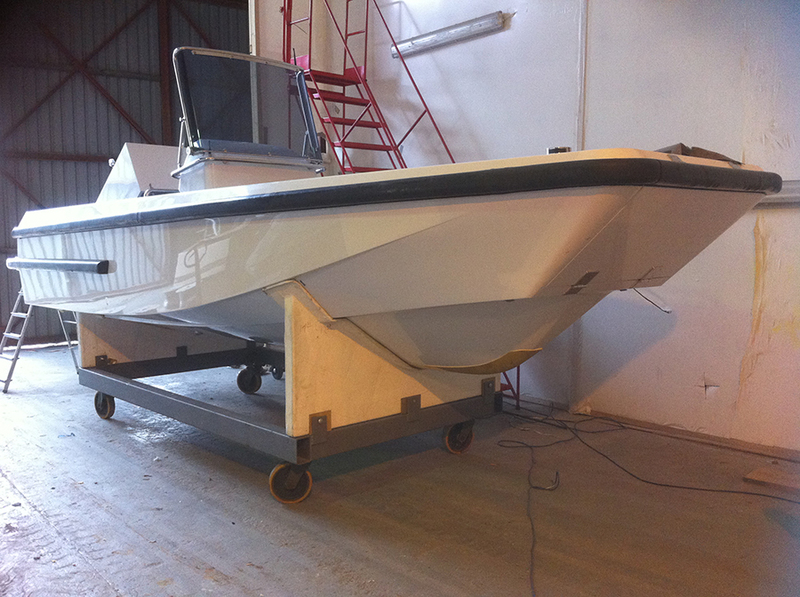 The project I was involved in, was the build of new grp rib, mainly as a laminator. 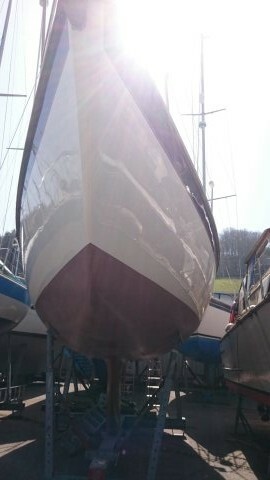 After this time, I went on to work at boat renovating companies on the river Dart. 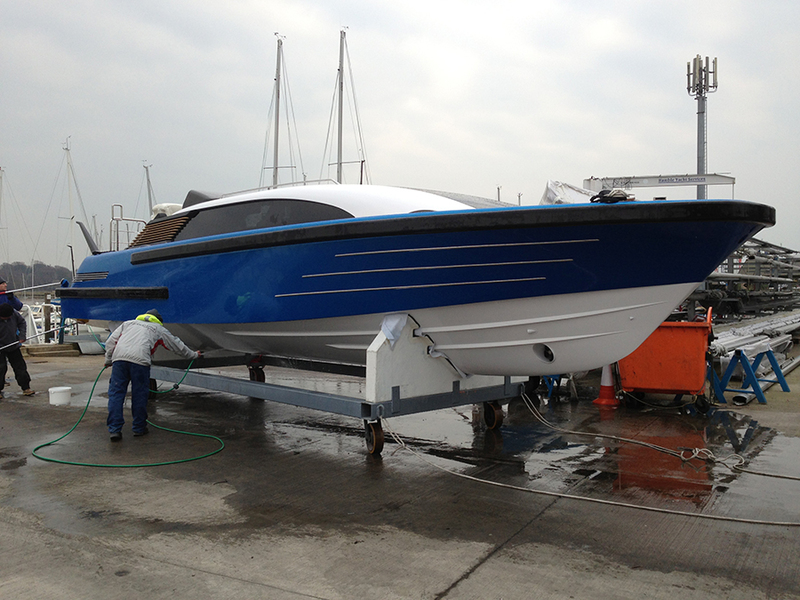 My work was to repair, renovate and re-finish many types of yachts and motor boats. 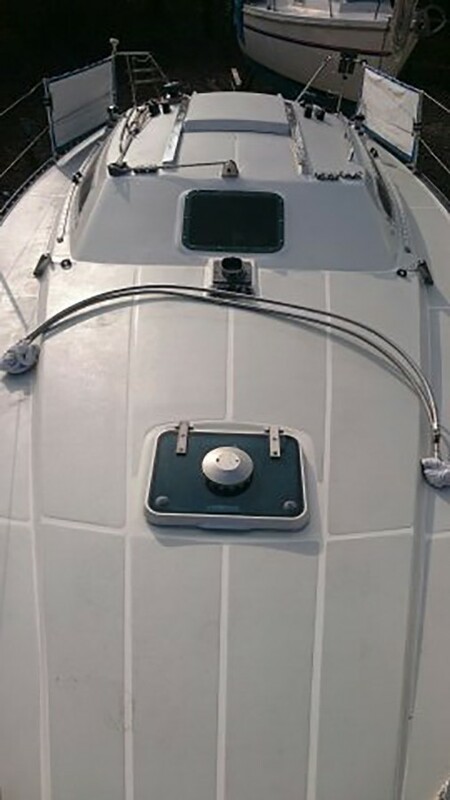 With 15 years experience in the boat industry I have built a passion for boats of all varieties; this passion led me to make the decision to start this company. 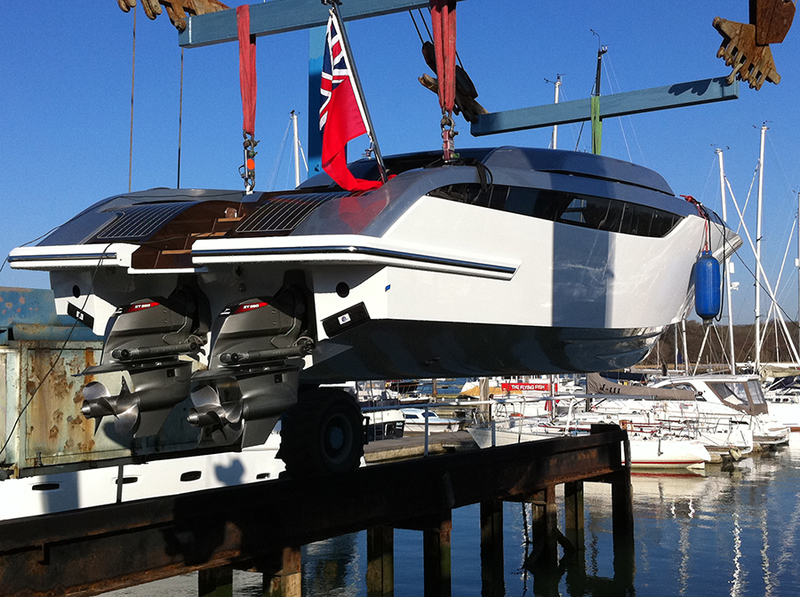 Having gained a mass of skills needed to carry out the services offered to you with precision and care. 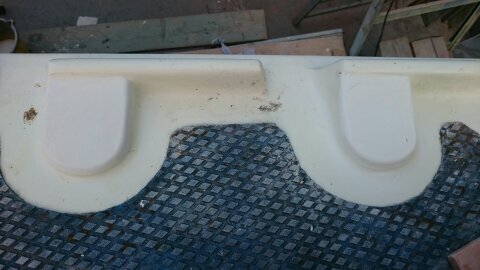 ...or use the form on the right and I'll get back to you as soon as I can.